You may be surprised just how many people drop a hot iron on to a fitted carpet. Every day of the week hundreds of irons in hundreds of homes are dropped on to delicate fibres causing burn or scorch marks as a result. Like the toasted butter always seems to land ‘butter side down’ an iron will almost always land ‘hot side down’. In some cases you may be able to cover the offending mark with a small carpet or by deftly rearranging the furniture; but what if you can’t? If you have an iron burn on carpet fibres chances are it will not be very deep and will merely be a ‘flesh wound’. Your instinctive reaction will be to immediately grab the iron and pick it up, but not before damage has occurred. However, because most iron burns and scorch marks are usually very shallow, repair can be expedited without the need for patching. You have to pay for your home and contents insurance; to save a few bob chances are you will have several exclusions. No doubt you will also have a fee to pay for any repairs or replacements before the insurance policy kicks in, such as the ‘excess’ you would have to pay on a vehicle insurance claim. In fact, many items are often excluded from potential claims such is their common occurrence. In fact, nine times out of ten an insurance policy will not pay out for minor damages such as an iron burn on carpet fibres or scorch marks, wine stains and other accidental damage. 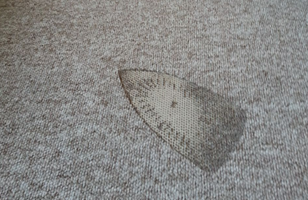 If you have a carpet and it has been damaged in such a way, you can get it repaired cheaply but effectively and for a lot less than it would cost to replace it. 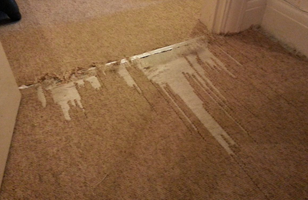 This is by no means an exhaustive list; carpet repair is a cost effective alternative to carpet replacement. If you do not give us a call we cannot tell you what the problem is or what the solution might be. 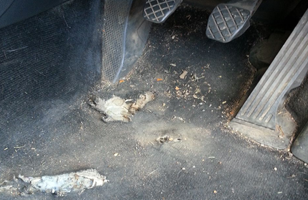 Our experience is wide ranging and typically we would have a solution to even the worst type of damage. We will carry out the repairs at your home or commercial premises with little or no disruption to your lifestyle.